Hi my cross stitch friends! I've been MIA for a really long time now, mostly because my cross stitch progress has been pitiful. Really, it's because I have started quilting. 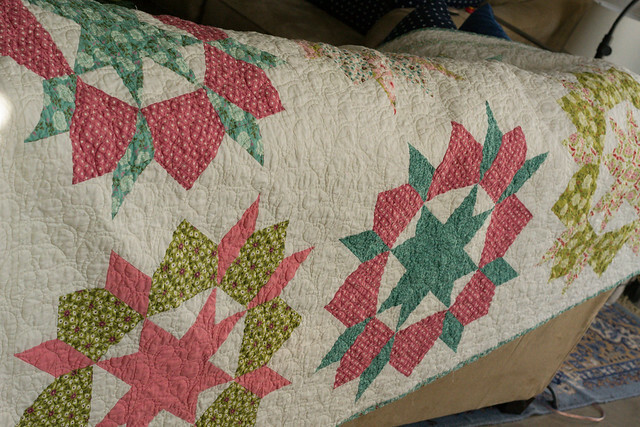 I bought another domain so I could do my quilt things in a blog type form as well, but then I never got around to it. It took me 11 months from start to finish, but totally worth it. I kept getting board and I really hate doing borders and sashing. It looks fantastic on my bed, so it was worth it. 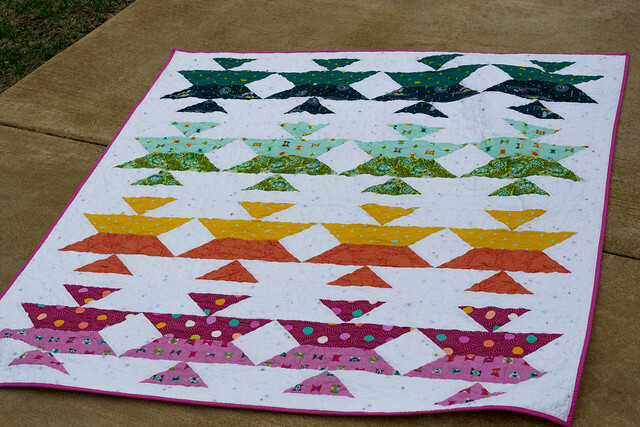 Mesa Valley with Tula Pink fabric, this was in a SewSampler box (the colored prints & pattern). I love how this turned out and part of me didn't want to give it away! 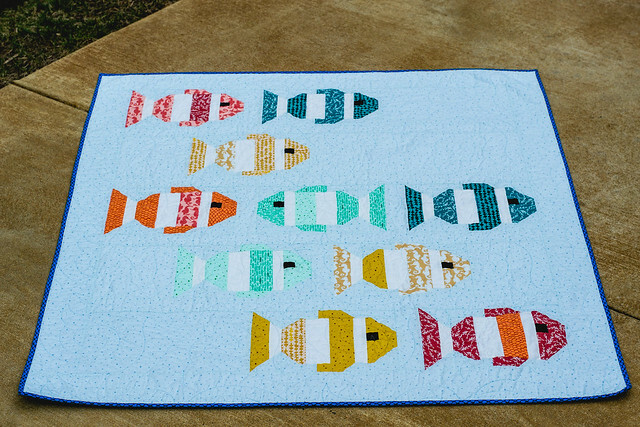 An Elizabeth Hartman pattern again, using Reef fabrics, this was also in a Sew Sampler box. I made this pattern up using 2 packages of charm squares in Juniper Berry by Basic Grey. I really love all their Christmas collections and have already preordered their 2018 one. This was using "Jolly Bars" (5"x10" precuts) in Merry Berry fabric. I love love love this. It's my favorite of the two. I could not part with it though it's original purpose was a Christmas present. My favorite is how I quilted it, spirals in a gold thread called "Vegas Gold". Swoon. Drool. LOVE. 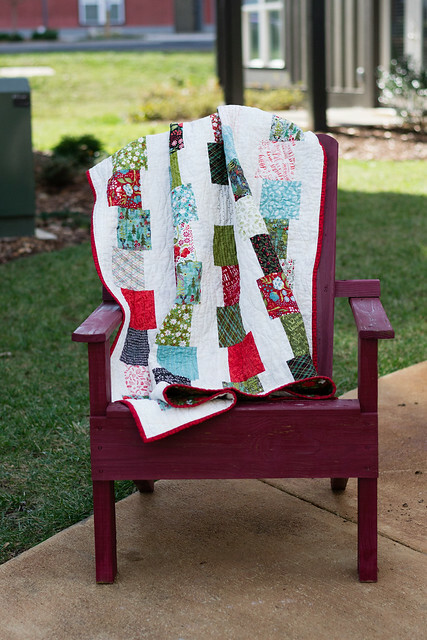 I started quilting when I moved to North Carolina just over 2.5 years ago. It's very addicting, just like cross stitch it, but I find (with the exceptions of course) that I finish projects so much faster. It's a more expensive hobby but the results are so much sooner. I've been dragged into the community full force! Anything new up with you lovely readers? Am I the only one who moves form hobby to hobby? 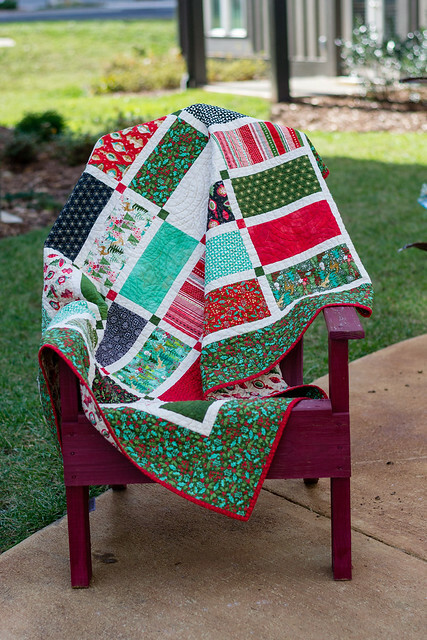 What a talent you have for quilting, they are stunning. Thanks!! I'm really happy with how they all turned out. 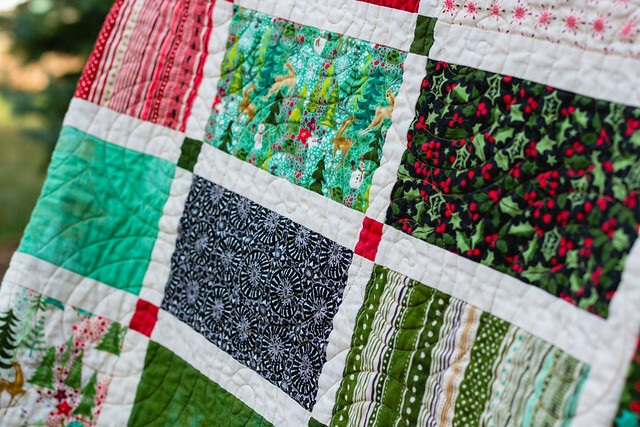 I don't think anyone will mind reading about your quilting on this blog...it's stunning, after all! 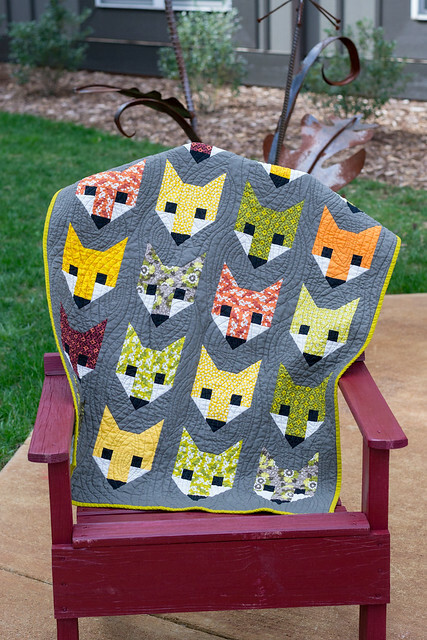 I especially love love love the little foxes. xStitchHaven. Theme images by Ollustrator. Powered by Blogger.